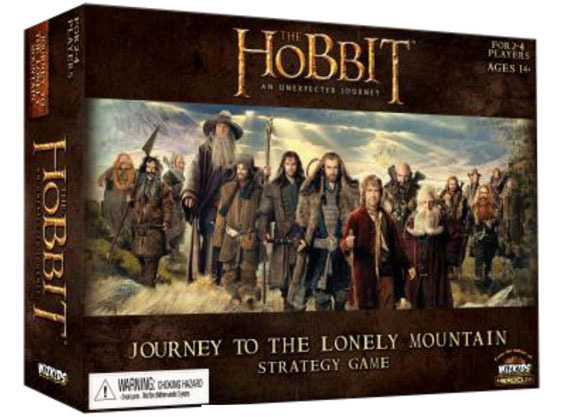 WizKids Games is proud to announce the release of Journey To The Lonely Mountain! Acclaimed designer Eric M. Lang weaves elegant thematic game play with characters, scenes and events from the movie-The Hobbit: An Unexpected Journey. Featuring head-to-head play and also up to 1 versus 3, players take on the role of Bilbo Baggins, Gollum, the Goblin King or Azog in this new twist on the epic tale of a Hobbit who stumbles out his door to a world of wonder and danger. Game includes: 5 pre-painted figures on HeroClix SwitchClix™bases, Game Board, Character Tokens & Action Cards. 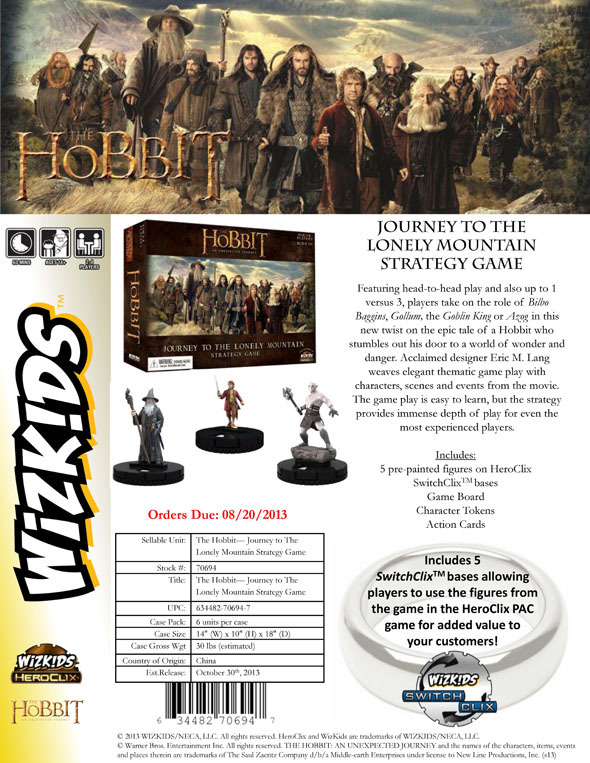 FEATURING SWITCHCLIX FIGURES: The Hobbit: Journey to the Lonely Mountain Strategy Game includes 5 SwitchClix™ bases allowing players to use the figures from the game in the HeroClix PAC game for added value to your customers! The journey begins on October 30, 2013!